December 10, 2014. 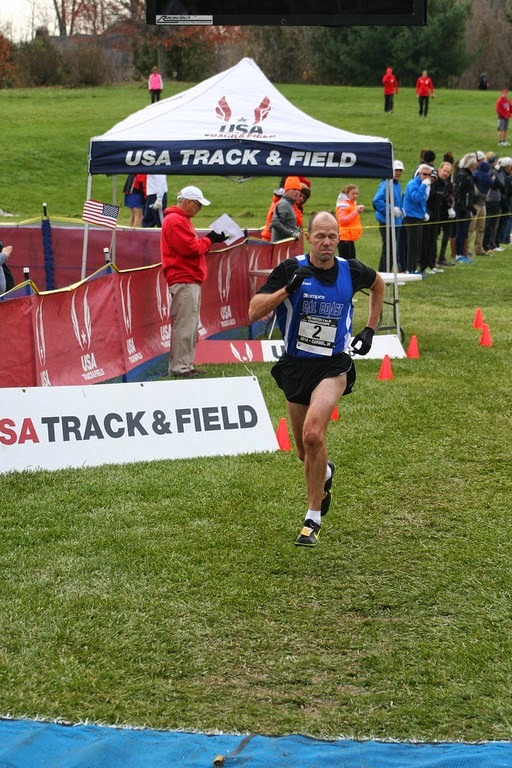 USA Masters Club Cross Country Championships. Guess what’s coming! 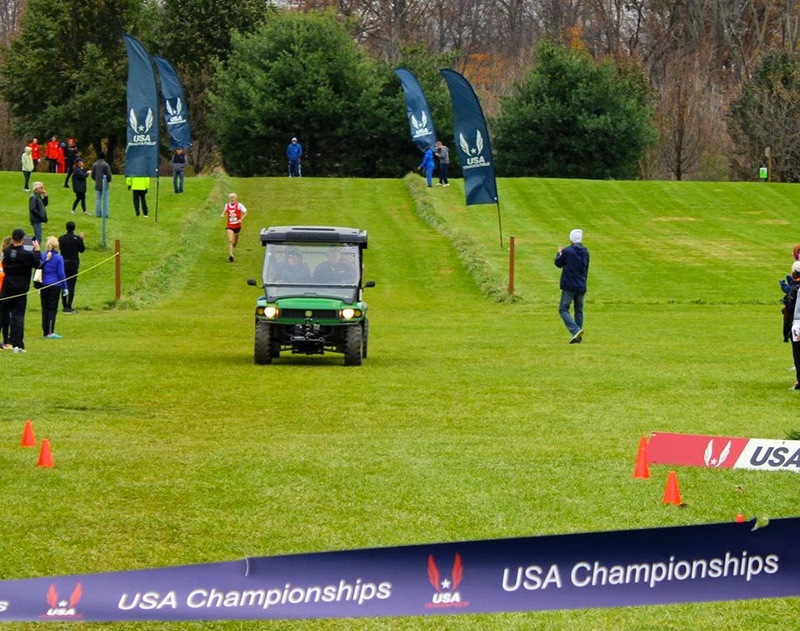 Three days from today, it’s Club Cross, the Big Daddy of the Cross Country Championships. There are 64 complete masters teams on the women’s side, 86 such teams on the men’ side with a total entry list of more than 270 runners on the women’s side and over 640 runners on the men’s side. This is for Team bragging rights first and foremost, although individual champions will also be crowned. So this first post focuses entirely on the team races. Race course. The race is at the Lehigh University course in Bethlehem, Pennsylvania; it starts near the football stadium, winding around and above the Lehigh playing fields. The women’s course is 6K or a little over 3.7 miles and the start is at 10:30 am; the men’s course is (about) 190 meters longer than a 10K, so about 6.4 miles and it starts at 11:30 am. Low to mad 30’s, sunny, with moderate winds (6 - 8 mph) for the Masters races. Last Year and This Year. Last year the US Club Cross Country Championships were held in Bend, Oregon so there was a bit of a west coast flavor to the entered teams; that should be replaced by more of an east coast vibe this year. Still there are a number of top teams from the west coast making the trip. Here are the top 3 teams for each age division (and their members) from 2013 and whether they are entered for 2014…and a bit of discussion. Women’s teams are first, followed by the men’s teams. 2013. 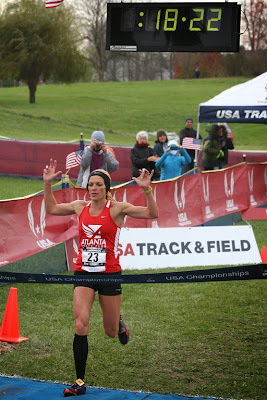 Atlanta Track Club (Sonja Friend-Uhl 3, Nancy Meck 5, Holly Ortlund 6) 14; Club Northwest (Gwen Lapham 1, Linda Huyck 8, Janet McDevitt 15) 24; The Janes Elite Racing (Tania Fischer 4, Kirsten Leech 9, Chris Gentile 18) 31. 2014. The top two teams are both entered but with slightly different rosters. Nancy Meck is not entered for Atlanta. Friend-Uhl and Ortlund are joined by Amy Bartholomew-Koepp, Irma Dennard, and Kelly Walsh. For Club Northwest, Lapham and McDevitt are joined by Deborah Fletcher instead of Linda Huyck. The change in rosters means there will be lots of reason to watch this race unfold and, of course, fitness levels will likely be different. Can Lapham repeat at the top? Can McDevitt stay a little closer to the front? Friend-Uhl and Ortlund appear to be on their usual game based on recent results in Syracuse and, for Friend-Uhl, Carmel, IN. But will one of the newcomers be a worthy replacement for Meck? The Bull City Track Club (4th in 2013) and the Impala Racing Team (6th in 2013) are also back and will be hoping to move up onto the podium. And there will definitely be teams who did not compete in Oregon last year who will be in Bethlehem and will have their sights set on a podium finish. 2014. Of the top 3 teams, only Club Northwest returns and Kruell, Hall, and Porter have reinforcements in Thury Gudmundsdottir and Alyssa Tower. Who else will contend? I expect the Athena Track Club, with Julie Hankin, Doreen McCoubrie, Betsy Stewart, and Marisa Sutera Strange, will be pushing for a top finish. Shore AC with Lauren Rhatigan, Diane Rothman, and Lori Scisco may have the horses to contend for a podium finish as they did in the 2013 5 km championships in New Jersey. And there are a number of other strong teams from the east; no doubt they will have something to say about who gets to the podium. 2013. 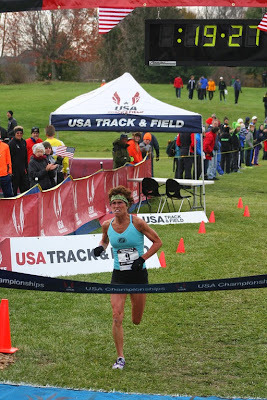 Genesee Valley Harriers (Belinda O’Brien 1, Cindy Ingalls 2, Carolyn Smith-Hanna 5, Jeanne Herrick 6) 8; Impala Racing Team (Donna Chan 3, Jo Anne Rowland 4, Diane Anderson 7, Irene Herman 8) 14. 2014. Both these top teams return. The Genesee team will be without their top runner from last year, O’Brien, but have a strong replacement in Sharon Moore. Unlike last year, they are without a 4th runner and so have no room for error. It is not clear how competitive Impala will be without their numbers 1 and 3 runners, Chan and Anderson, from last year. Rowland can run hard but will need help from Herman running closer to the front or from the newcomer, Jill Miller-Robinett. Other teams likely to be in play for the podium include Playmakers Elite (Patricia Degnan, Deborah Feltz, Ruth Thelen) who finished 2nd in the 5 km XC at Carmel with a slightly different roster. The Atlanta Track Club is entering a team (Nancy Heidt, Nonie Hudnall, Trenice Mullis Dubow, Terry Ozell, Mary Richards) and most of their teams tend to be competitive. It looks like Genesee should be the favorite but someone else could sneak in. 2013. Atlanta Track Club (Chad Newton 3, Malcolm Campbell 5, Kristian Blaich 14, Alan Black 16, Valentin Alvarez 28, Eric Stabb 30, Matthew Whitis 36, Steve Wilcox 39) 66; Bowerman Track Club (John Howell 2, Ahrlin Bauman 7, Jeff Smith 11, Oscar Bauman 20, Everett Whiteside 27) 67; Boston Athletic Association (Harry Stants 17, Kevin O’Neill 19, Peter Hammer 23, Christopher Magill 24, Pat Callahan 47) 130. 2014. The top three teams are all back this year. 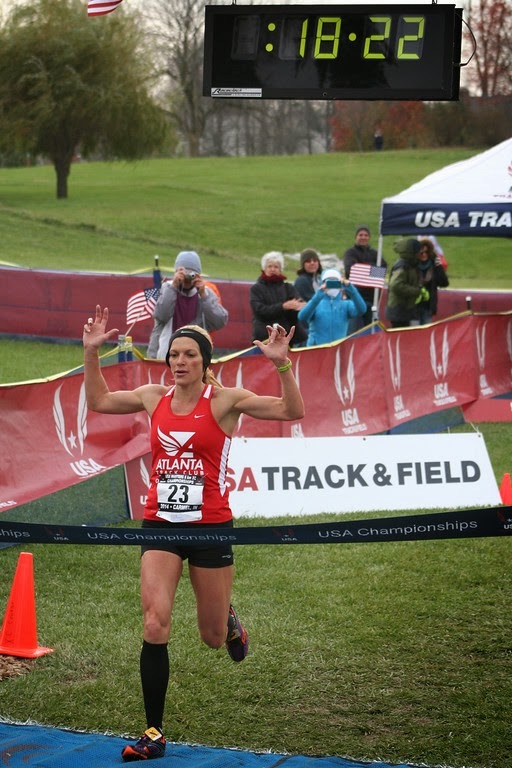 Atlanta will try to retain its championship with the same set of runners as last year, plus one more. Bowerman has changed its lineup; will it be enough for a 2 point swing and the victory? Their 3rd and 5th runners from last year are not returning but at least one of the replacements, Greg Mitchell, is certainly a threat to take the overall win. Matthew Farley and Joshua Gordon appear to be reasonable replacements for the other two. On paper it looks like Bowerman might be slight favorites but, of course, the race is not run on paper. It should be a heck of a race! 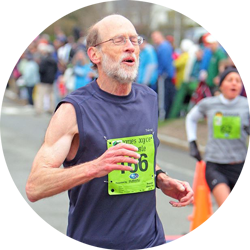 The BAA has also upped the ante by including Mike Galoob on their roster; Galoob won the USA 10 K road championship in Dedham last April. So he should also be a factor in the race for overall winner. All the other runners for the BAA return. They were over 50 points out of 1st (and 2nd) last year so Galoob by himself would not be enough to make the difference although if he had been on the team and finished in the top three the BAA would have been within ten points of the leaders. That’s close enough that a little improvement here and a little there among their other runners and the BAA is right there too. Wow! This is a race I would love to watch! 2013. Cal Coast Track Club. (Jeff Ambos 1, David Olds 2, Ken Ernst 4, Pete Magill 11, Kevin Broady 20) 38; Club Northwest (Michael Smith 6, Joe Sheeran 7, John O’Hearne 8, Tony Young 12, Joe Bisignano 17) 50; Genesee Valley Harriers (Alan Evans 3, David Bischoff 16, Joseph Mora 18, Mark Rybinski23, John Van Kerkove 26) 86. 2014. As with the M40+ division, all three teams form the 2013 podium are back to defend and try to move up if possible. And the fourth team from last year, Playmaker’s Elite will see if their runners can go just a little faster to gain a few points here and there to displace one of the top 3 teams. Cal Coast’s 3rd and 5th runners from last year are not making the trip this year. It appears that one of the new runners this year, Matt Ebiner, may be a reasonable replacement for one of those two, but it does not appear on paper that the other two are as strong as either Ernst or Broady. On the other hand it seems unlikely that Pete Magill could be kept out of the top ten two years running. Nonetheless they appear to have left a little bit of an opening for a challenger. Club Northwest was within 12 points last year; can they close that gap? Their top 4 from last year are coming back and they bring Lance Logan instead of Joe Bisignano. On paper Logan is a bit stronger than Bisignano. 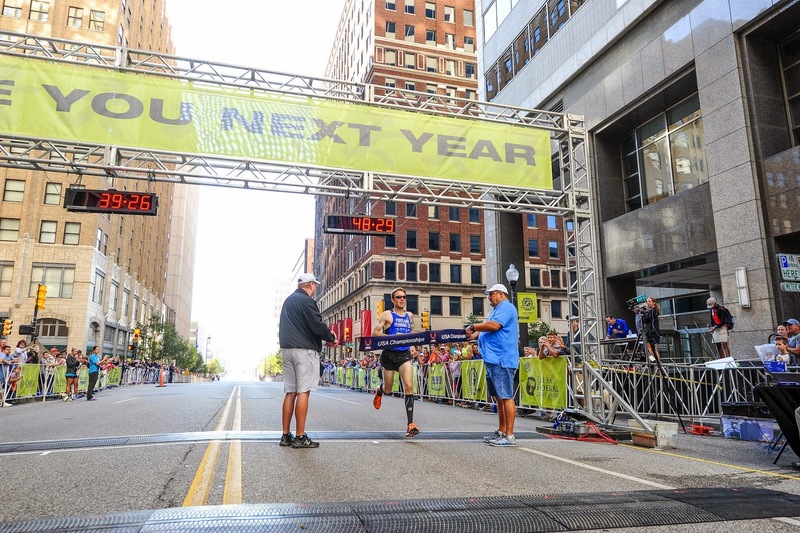 And we know that Joe Sheeran is running strong this year as he took the top age-grading spot in Tulsa and won the 50+ division at the Carmel 5 km XC championship. Overall if the rest of the runners have similar fitness to last year, the race looks a little tighter. Genesee Valley has also apparently improved its roster. It looks like Mike Nier can run a 10K two to three minutes faster than Mark Rybinski who will be heading the B squad this year. That could give Nier a shot at a top five finish which would certainly move Genesee closer to the top two. But as with the age division above, it would not be enough by itself. Some of the other runners on the team would also need to raise their game. And what about Playmakers Elite/New Balance who finished fourth, 14 points back of Genesee. They did not have Ron Zywicki with them as they do this year. 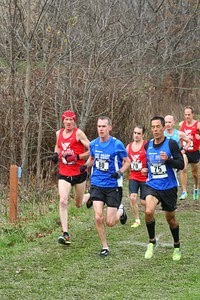 At the 5 km Cross Country championships in Carmel Zywicki finished behind Genesee’s Bischoff but ahead of Van Kerkove. The 5th runner in last year for Playmakers finished in 43rd. if Zywicki can crack the top 25 this year, Playmakers has a chance to unseat Genesee from a podium position. 2013. Ann Arbor Track Club (John Tarkowski 2, Lloyd Hansen 3 , Terry McCluskey 4, Wally Hayes 6, Doug Goodhue 12) 27; Atlanta Track Club (Kirk Larson 5, Jerry Learned 9, Mike Wien 10, Bob Dalton 11, Larry Lioy 13) 48; Genesee Valley Harriers (Tim McMullen, Bruce Wilkins, Ron Blackmore, David Bowen, Jim May) 49. 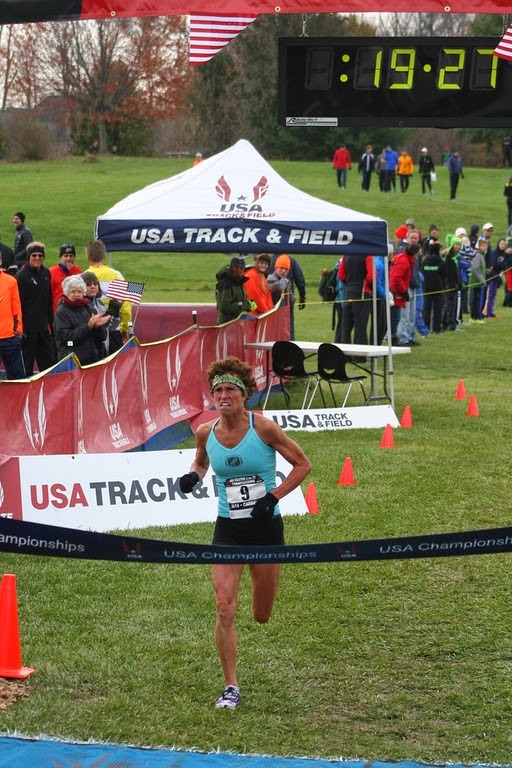 Terry McCluskey, who was Ann Arbor’s third runner last year, is not on the roster this year. And Tom McCormack was not running for Atlanta last year. McCormack has won every M60+ race he has entered this year, breaking records in many of them, and no one expects this race to be different. But McCormack cannot do it alone and Atlanta’s top two runners from last year have been battling injuries this year. Larson and Learned have both made great strides in their rehab but probably neither is quite as strong as they were last year at this time. That will make it harder for Atlanta to close the gap. If Mike Wien were in his Peachtree shape (a sub-40 10K) he could help Atlanta a lot but running in the NYC Marathon in early November may leave him a little off the top of his 10K game. If Ann Arbor’s top five run to their capabilities, I still see them as having just a little more than Atlanta this year. Genesee Valley is back but their top two runners from last year are not. It appears that new runners Mitch Moore and Michael Reif, Sr., are both solid performers based on their times at the Syracuse 5K championships,and Keith Yeates is not too far back. Those three can help Genesee bring in a fairly tight pack. But it is probably not enough to make up for the loss of McMullen’s first and Blackmore’s 8th place last year. Genesee may be pressed to keep their third place on the podium. Seven other contenders will be lining up with the aim of dethroning them. 2013. Last year there were no 70+ teams. At other championships, Ann Arbor will sometimes race a team in this division. 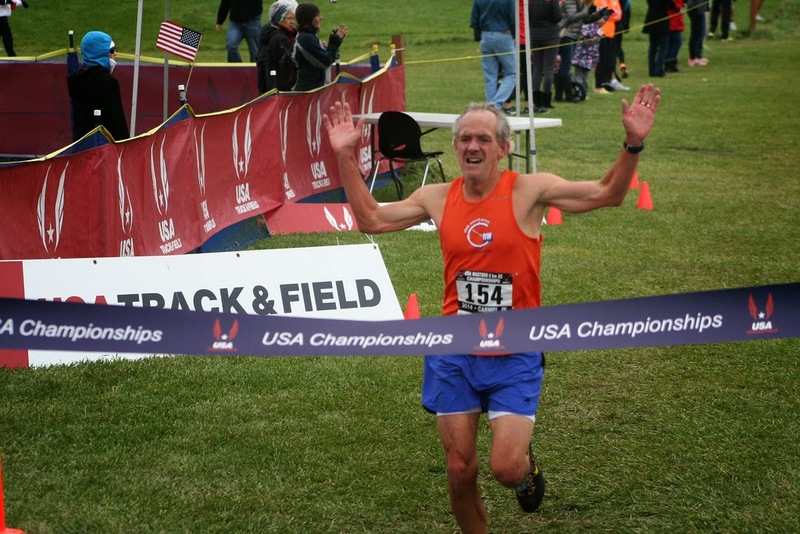 But last year and this year, their world class 70 year old runner, Doug Goodhue, is running for the 60+ team. Hence they choose not to run a 70+ team. 2014. Six teams will contest for the 70+ championship. One would guess, based on the 2013 5 km Cross country championships in New Jersey that Clifton Roadrunners, Atlanta TC and Shore AC are probably the favorites. They finished 1st, 2nd and 3rd respectively in a very tight race, 17 to 18 to 21. [Recall that for age divisions 70 and above, scoring is based on the top 3 runners, not the top 5.] The composition of the teams has changed slightly but there is every reason to think it will be a tight race this year. Shore AC came in ahead of Clifton at the Syracuse 5K road championships this year so that establishes them as slight favorites; Atlanta did not contest the M70+ team division at Syracuse.